Easily create Storyboards and Outlines for all your eLearning needs. Invite clients and collaborate in real-time via instant messaging and video calls. Never miss a task thanks to the Project Management tool specially designed for eLearning. 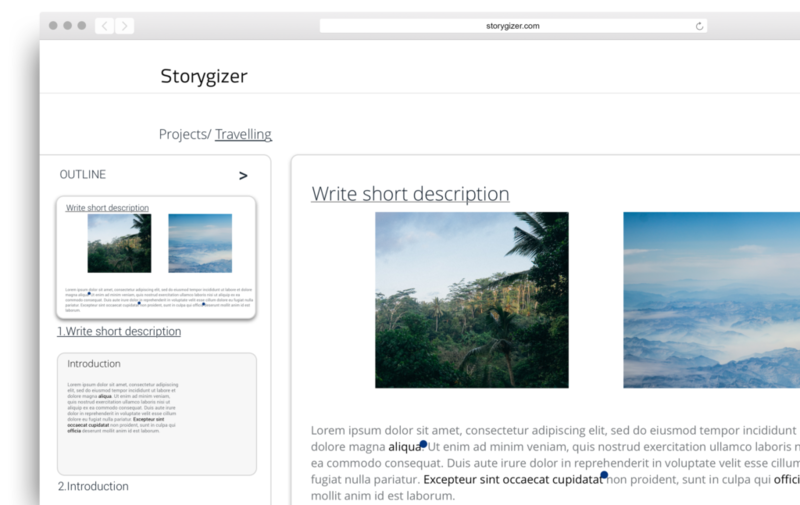 Storygizer is currently in the development phase. Fill in your data below and we will send you the details on how to get started. By signing up you are giving us your consent to email you regarding the software release. We are GDPR compliant and we take protection of your data seriously. Simple and elegant eLearning solution for your storyboarding excellence. We started as an eLearning agency. We know what the industry has been using so far. We know the logic which drove you from one tool to another in your development phase. We are using the same logic you have already established, so there’s no new and crazy things you need to get used to in order to use Storygizer. Our main idea was to blend features we already use into one tool made specifically for eLearning development. 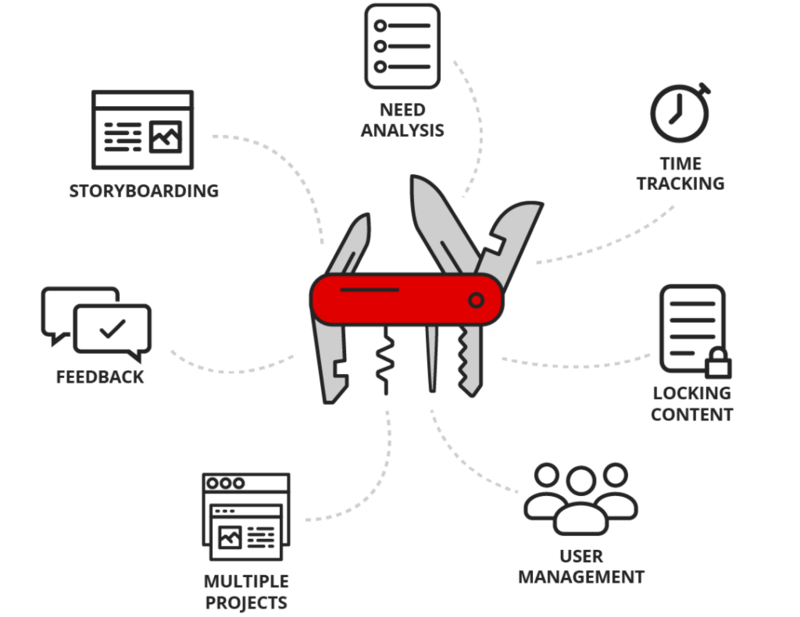 Think of Storygizer as a Swiss knife for eLearning. Start using Storygizer – it will save you time and money. 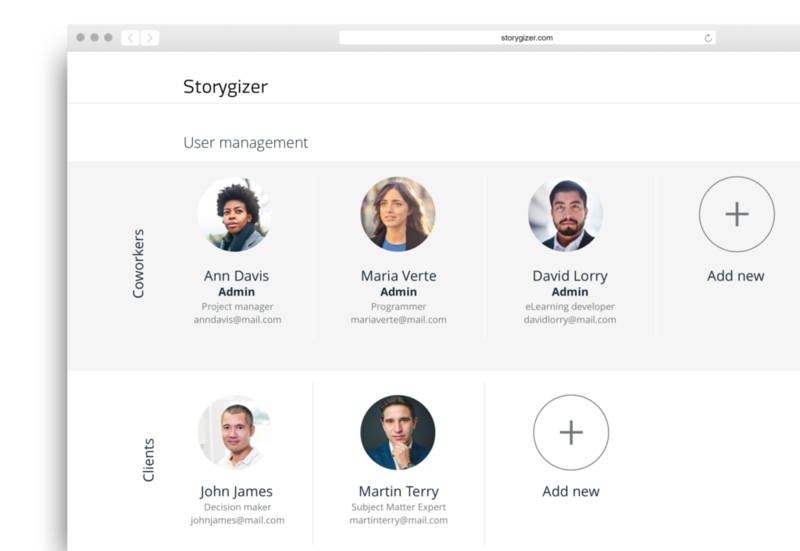 Storygizer saves you time by eliminating inefficient communication and placing all the necessary features into a single tool that enables you to focus on the important things – happy clients and stress-free projects. Everything you need and use has FINALLY been combined in one place – because User Experience is what makes Storygizer great. A great storyboard is the foundation of every eLearning project! You cannot build a house without a blueprint and you cannot create a course without a storyboard. We all know that. So why is there no tool made especially for that? Fear no more – Storygizer is here! You will easily write your Storyboard, add different media and create branching scenarios. While doing so, why not create an Outline as well? You can! As a starting point for each eLearning Storyboard is Outline, made out of Courses, Modules and Lessons that can be organized and later rearranged according to your needs during the development process. We give you predefined Storyboard templates to make your life easier! 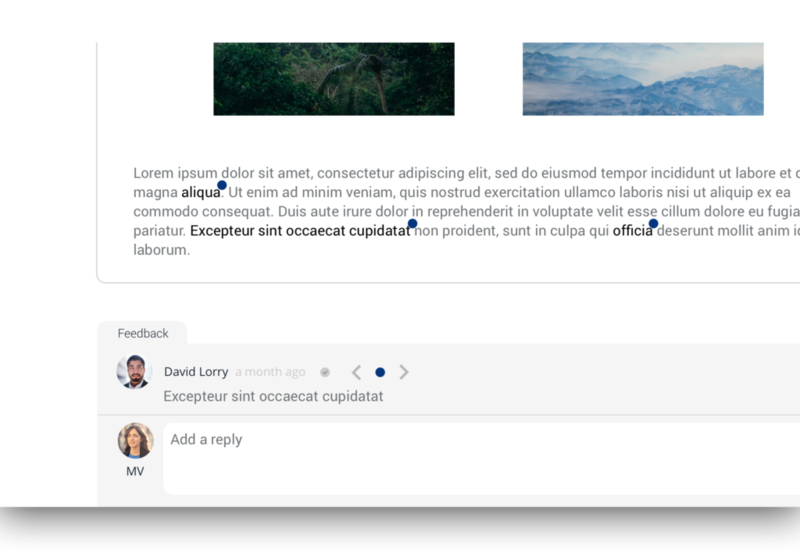 Easily add co-workers to assist you and reach out to clients to approve it. You can create branching scenarios, check out their appearance (visual representation) and then easily export them in any format you want. Handling more than one project at a time requires some serious skills. You have notes there, PDFs here, presentations on shared file, voice-overs are on drive, outline is in slides, storyboard in Excel, tasks are on sticky notes, and your sanity is long gone…..It feels like you’re a plate juggler, and not an eLearning developer. But it doesn’t have to be like that. 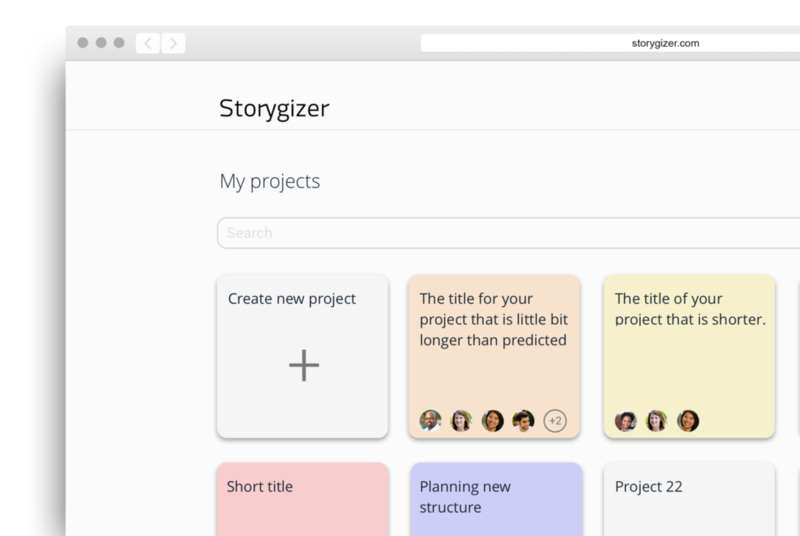 With Storygizer, all of your projects are in one place, easily accessible and always visible. No more searching for files! No more endless documents on your computer called “Storyboard”, “Storyboard 2”, “Storyboardsfsfsfsfsf”… Entire Storygizer is project oriented. At the beginning, you are offered the option to create a new project or edit an existing one. We know it all revolves around projects, so we made it the centre of our software. We know you have much better things to do than search for missing files. Better things like, you know, earning money. 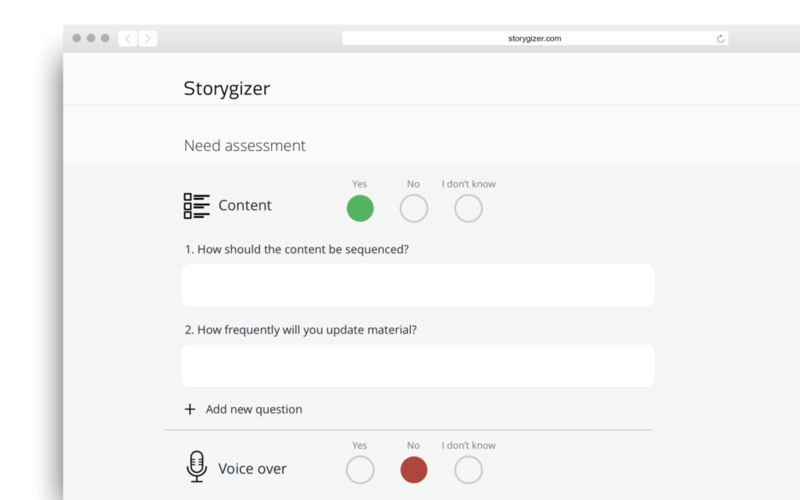 Once your Storyboard and your content are done, you can ask for Content Approval from your client – directly from Storygizer. If you think that’s not important, we envy you. That means you have been unbelievably lucky as your client has not been the type who constantly changes the content. 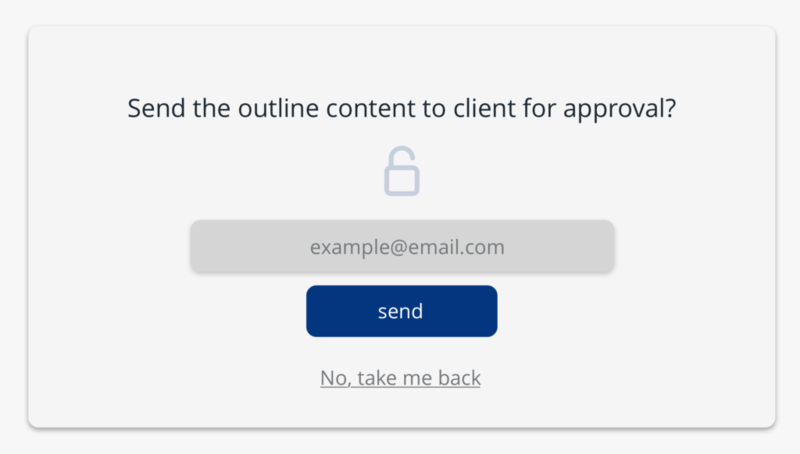 This almighty button will give you the ability to ask for approval, and once your client approves – the content gets locked, and everybody gets notified. Have you ever found yourself in the middle of a project realizing your client wanted a voice-over? Or an animation? Or that he/she didn’t really have a content prepared for your e-Learning, but had a ton of PDFs? We kept writing down all the questions we should have asked, but didn’t, until we ended up with a list so great, we never missed a thing anymore! And here it is! Just send the list to your client, and wait for answers to come back. Voilà! Also, you can add your own questions, delete the ones we wrote but you don’t want, and also – save your lists for future use. All of it is just a click of a button away! How many articles have you read desperately trying to figure out how much time it takes to make one eLearning course? And how many times have you come up with that dreadful answer: “It depends”? Can we have your attention please? Here is the holy grail of every eLearning developer: time estimate! 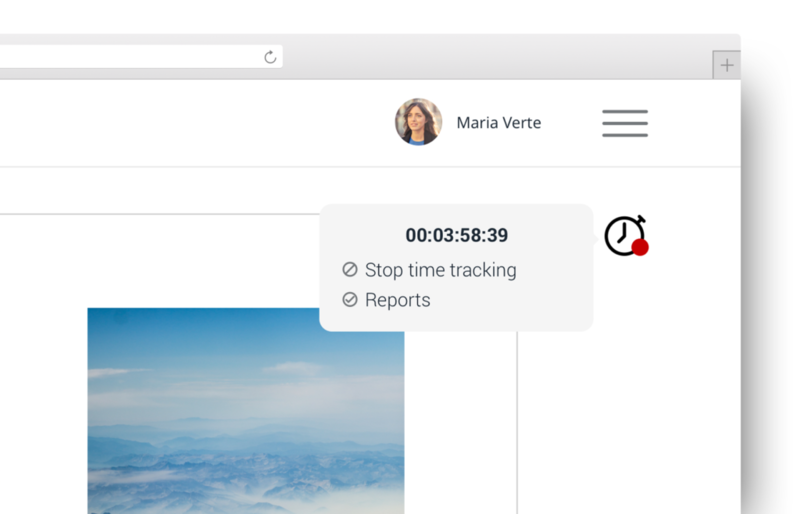 You can track the time you spend working on a project. This is especially great if you’re an agency with several people working on several different projects at the same time. You can send reports either to your co-workers or to your clients. Furthermore, in the near future, we will be proud to present AI in eLearning development: the ability to estimate how much time you need to complete a project based on the data you have and Storygizer’s artificial intelligence. Receiving feedback from a client can be tricky if there is more than one person on their end. One person is using instant messaging tools to send you feedback, another is showering you with emails, the third is calling you… It can be exhausting, but more importantly – it can end up with you receiving completely contradictory feedback from various people on the client side. That is why our cloud based solution gives you the opportunity to collect feedback in Storygizer! Your clients can collaborate with you on the project and leave comments. Notifications will help you keep track of it all. Also, you will have all the comments clearly marked and visible so you won’t have to wonder what you need to “delete right away!”. List of all the feedback received is available and clickable, and there is also a timeline of everything that was happening so you can always go back and see who did what and when. With this transparent list of comments, contradictory feedback will be the thing of the past. Storygizer is here to help you save time and keep things organized! The idea of making your life easier didn’t stop with the blending of all the features you, as an e-learning developer, use in your everyday life. We also wanted to give you the ability to have all the people that matter in a project – at the same place, at the same time. Invite your co-workers and clients to work with you on the project, give them roles and define what they can and cannot do, what they can and cannot see. If you have voice–over artists, you probably don’t want them to see the entire thing. Grant them the lowest level of access where they can only see their scripts. If you have some outsourced programmers, you’ll do the same thing. 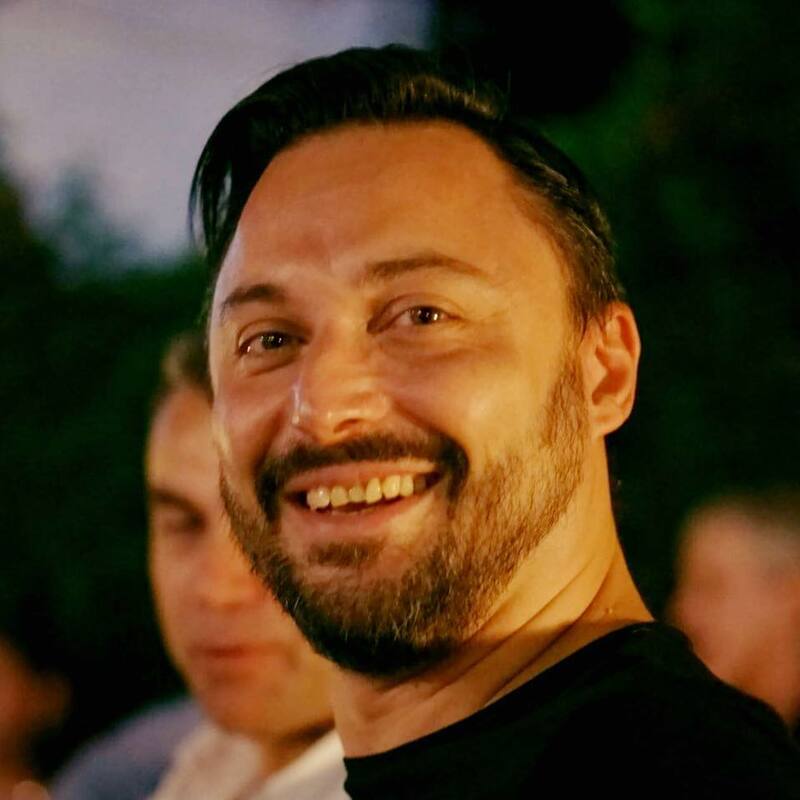 The user management system makes your life easier – everybody who matters is involved in the project, but you have the ultimate control of who can see what and who can do what. Not bad, right? Choose The Plan That Works Best For You…..
One account can hold up to 12 persons (added through user management) and up to 30 GB storage. Additional storage can be bought separately. I'm in eLearning business for a long time now and very often I am rethinking - where should I create Storyboard, and how to best include my clients in the project? I wish I could have used Storygizer long time ago. I started working as a coach (F2F workshops) and I value collaboration among people! That's why I have high expectations when it comes to Storygizer - it will give me the same sense of collaboration with my clients as the one I had with people on my workshops! Check out how bananas, J.Lo and you (yes, you!) helped us to create Storygizer! Back in the day when we were kids, there was a cartoon about a ship stranded on a desert island. There was a crew, and a captain called Martha, but also – there was a great and skilled chef who tried his best to cook delicious meals for his crewmates. Vrata znanja d.o.o. from Zagreb, Croatia. We started out as a custom eLearning development agency and found our way to software development world. So we are confident we have the knowledge and expertise to create SaaS (Software as a service) for all your storyboarding needs. eWyse Agency – Vrata znanja d.o.o.